The main films in the Star Wars saga have always been about family, and now those bonds are strong behind the scenes as well. 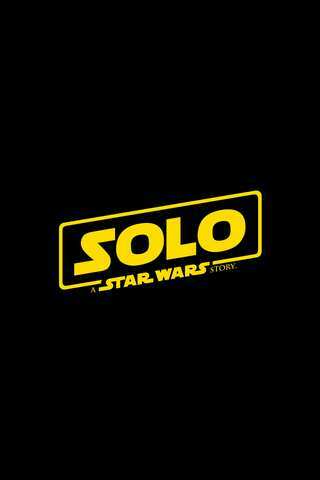 Screenwriter Lawrence Kasdan, the legend who co-wrote The Empire Strikes Back, Return of the Jedi, and The Force Awakens, has brought his son Jon Kasdan on board to help plot an intergalactic heist in Solo: A Star Wars Story. And though Jon is an accomplished filmmaker in his own right, he's had a fondness for the galaxy far, far away ever since he was a toy-collecting child, as he revealed to Entertainment Weekly. "When I was a little kid, George [Lucas] was still in the habit — this was the coolest thing ever — George would send a box of toys at Christmas, and it was absolutely the highlight of Christmas. We were fanatical about it. And we had no interest in presents from our parents," said Jon. "It was just, 'What was gonna come from Lucasfilm?' And it was always a score. Then the years progressed into, like, '89. [The gifts] started to be things like umbrellas and sweatshirts. It was a real dark moment in the Kasdan house when we realized the toys were no longer coming." But Jon doesn't need the toys anymore, because now he gets to bring those adventures he imagined to life with his father. Lawrence was originally hired to pen the Han Solo project before Disney purchased Lucasfilm in 2012. Then he was brought on to help with Star Wars: The Force Awakens, and nearly became overwhelmed. "When I was done, I was sort of burned out. And I said, 'I don't know, do we still want to do this Han thing?'" Lawrence said. "And they said, 'Yeah! We really want you to go ahead with Han.' And I said, 'Well, my son, Jon, is very enthusiastic and full of ideas about the saga.' And he had directed two movies and had done other things. 'What if he came on and worked with me? Because, that would give me a shot in the arm.' And so, that's exactly what happened. They made a deal with Jon, and he and I have been writing since for three years." Fans will finally get to see the Kasdan's collaboration later this year, though they're starting to open up on all of the cinematic influences that inspired their take on the young Han Solo. Solo: A Star Wars Story premieres in theaters May 25th.